We are lucky to live in a time when so many cannabis options are available to us! At Lucky Turtle, we offer a variety of consumption options to fit different lifestyles. Whether you desire a health-conscious alternative or are trying to get more bang for your buck, understanding how each method works is essential for discovering the best choices to fulfill your cannabis needs. Vaporizing is the most effective means of delivery into the body since we are capable of absorbing about 40% of anything inhaled into the lungs. Vaporizing also provides the quickest effects. Lucky Turtle Vape Cartridges contain clean CO2 cannabis oil which is steadily heated, much like burning flower, but at much lower temperatures with less potential of discomfort in the throat and lungs from exposure to combustion temperatures, smoke, loose debris, and pyrolytic toxic compounds. In addition to using our advanced biotech filtration process to remove excess plant wax and fats, our oils test at a 70%-85% cannabinoid content, compared to typically 15-35% in flowers. Heavy cannabis smokers experiencing respiratory irritation such as wheezing, coughing, and tightness in the chest would benefit by switching to vaporization. Additional benefits include precise dosing and discretion. For those wanting discretion, vaporizing has significantly less odor while tasting delicious. Sublingual edible delivery is another method of consumption, which is anywhere from 30-35% effective at absorbing available cannabinoids. Lucky Turtle recommends sublingual delivery products such as Turtle Tinctures for their quick onset of effects (5-15 minutes) and precise dosing via a dropper which also gives the ability to allow for a micro-dose regimen. After holding a portion of tincture under the tongue for a minute or two, cannabinoids are absorbed directly into the bloodstream through the mouth’s tissues. With Tinctures taken sublingually, most of the cannabinoids do not get processed through the digestive system and liver like typical edibles. We formulate very precise tinctures to deliver a purely THC experience (Elevate), a balanced 1:1 CBD / THC experience (Balance), and a 60:1 high CBD experience (Restore). We always have multiple flavors to choose from and never any unnatural sugars or additives to worry about. We highly recommend people to use tinctures because of their effectiveness, versatility, and it is generally the best value for the dollar! With standard edibles, our bodies are only capable of absorbing 10% of available cannabinoids. This can serve as a pro or a con depending on the person. While they do not have the highest absorption rate, the liver metabolizes cannabinoids into some interesting metabolites (what the THC turns into). THC metabolizes into a form that easily passes through the blood-brain barrier and becomes 4x more psychoactive than THC. 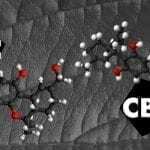 This results in significant “mind-altering” effects but can also lead to a greater sense of paranoia while CBD’s metabolites may have therapeutic benefits that can counteract paranoia. It is important to note that the effects of edibles generally take a longer time to kick in than the quick effects of inhaling or consuming tinctures sublingually. They also tend to last longer than other methods. As a beginner, be cautious and start with micro-doses, then modulate until you really know how you respond before taking a big bite of a tasty treat. As you can see, there is no one size fits all! Whatever kind of cannabis user you may be, there are several things to consider when choosing the best consumption options for yourself. It is helpful to get clear on why you are using cannabis, how often you want to consume, what kind of effects you’re looking for, plus where and when you’ll be using it. Still have questions? Send us a message, and we will happily get them answered.